As much as one may love flying, it can be a tough career choice. Many pilots struggle through the food chain only to end up discouraged, if not downright hating their job. We’re all aware of the reasons: low pay, long days, little respect, too much time away from home, difficult working conditions, commuting, regulatory hassles, bankruptcies, furloughs, and ruinously expensive training. Ours is a small community; word gets around, and it begs the question, how many have bypassed a flying career altogether because of it? I once read a survey suggesting that most pilots would not recommend the field to their children. Of course, many vocations are in this rickety boat. Even formerly high-flying professions like physician and attorney have lost their luster. The message: “it ain’t what it used to be”. On the other hand, life is often what we make of it. From bush flying to firefighting, there are many different gigs out there for those willing to take Frost’s road-less-traveled. For the past three years, for example, I’ve been flying as a “contract pilot” and truly enjoy it. It’s kind of a generic term, since anyone who flies as an independent contractor rather than a traditional, W-2 employee fits the definition, but I’ll focus on Part 91 and 135 corporate/charter flying because that’s what I know best. Contract pilots function as a kind of overflow labor. Operators might need temporary help in the cockpit for a variety of reasons: a full-timer is sick, on vacation, leaves the company, times out due to regulatory limitations, or is unavailable for some other reason. God forbid, maybe they ran into trouble with a checkride or medical exam. Perhaps a trip requires multiple pilots due to length or logistics. Some companies find it advantageous to run tight on full-time labor and supplement with contract pilots since there are no annual costs for training or benefits. They only have to pay contractors when they’re actually used, so as the flight schedule ebbs and flows, they can gracefully scale their workforce up or down without the inefficiency of, say, leaving full-time, salaried pilots sitting at home for an extended period. For the pilot, there are both pros and cons to life as a contractor. You’ve got some control over your schedule and can decline trips. I really hate doing that, because a) I don’t want the company to stop calling me, and b) you never know when things will slow down, so it’s smart to sock away some acorns for the winter. But if you’ve got a big vacation planned or your best friend is getting married? You’re ultimately in control. We can work for multiple operators, which can provide a bit of protection if the flying slows down at one company. You aren’t tied to a seniority system. If you’re an experienced captain at company A, you needn’t start over as the lowest-paid right seater at company B. Contractors earn far more per day than full-time employees, and therefore needn’t work as many days to reach a given income level. That means better quality of life, especially if you’re married and/or have kids. Contract pilots are typically paid by the day. I might have a five day trip consisting of a flight to Hawaii followed by three days on the island before flying home. That’s five days “on the clock”. It can be a more lucrative system than one where you are compensated based on flight hours. Operators are essentially purchasing your time. I always get an honest sense of gratitude from the operators for whom I fly, because by definition I’m helping them out when they really need a pilot. For example, I recently got a call from a Part 91 Gulfstream operator whose pilot broke his arm in the middle of a trip. I airlined out the same day and flew that evening’s leg to Las Vegas, keeping the aircraft on schedule. You knew there had to be a few, right? Contractors inherit all the hassles of being your own boss. Does anyone work harder? From providing your own benefits (don’t get me started about healthcare) to paying self-employment taxes, it’s not always the carefree work-and-go-home experience of a full-time employee. You pay for your own training. On a jet, the annual recurrent training costs run in the thousands. I currently allot $15,000/year for recurrent training and associated costs (airfare, hotels, food, incidentals) on my airplane. The expenses are deductible, which helps a bit, but I figure my first month’s work each year is spent digging my way back to financial “zero”. You can’t control when the phone rings. That can mean short-notice trips and/or weird hours. It can be hard to plan your life out when you never know what days you’ll be working. I average about 10 days a month away, so my philosophy has been to just plan my social life as usual, and make sure people know I sometimes have to reschedule or cancel. Work can conflict with itself. I’ve had three operators call me for a trip on the same day. I can only be in one place at at time, so I “missed out” on two of them. No guarantee of work. But then, history has shown that there are no guarantees in life or aviation for anyone, are there? It can be tough getting started. As with many careers, the best entrée is knowing someone who can get you in the door. Initial start-up costs of obtaining a type rating can be a major barrier. I like contracting because when a trip is offered I know it’s because the operator wants to use me rather than has to use me. Contracting represents some of the best that flying has to offer: adventure, interesting destinations and passengers, phenomenal aircraft, and decent pay for the work I do. So why don’t more people jump into contracting? Awareness, for starters. Not everyone knows about this little niche. Also, it can be tough to break in to the business. You don’t have to know someone on the inside, but it certainly helps. The initial expense is probably the largest impediment. The best compensation is found on the larger aircraft, and that means an expensive type rating funded solely by the contractor. Some pilots speculate on their ability to get work by obtaining the type before they have a job to use it on. Unless you’re well-heeled, that’s a big financial risk, but it works out for some people. There is a rather circuitous way around the type rating burden: start off as a salaried employee and switch to contracting after a couple of years. That way the operator pays for your training and in exchange you accumulate a significant body of experience on the airplane. FAA to the Rescue! Not. I should note that contracting in the Part 135 world is a bit harder than it used to be. In the old days, if you were typed and current on an aircraft, you could fly for any charter company that operated that kind of plane. It wasn’t uncommon for a contract pilot to fly for several operators. A few years ago — for reasons no one has been able to adequately explain — the FAA essentially did away with that capability. Today, a five-figure recurrent only entitles you to work for the certificate holder under whom you trained. It doesn’t matter if you’re a veteran of ten years and 10,000 hours in a Gulfstream IV; if you went to recurrent on Company A’s OpSpec, as far as the FAA is concerned, when you move to Company B you are completely unqualified to operate a G-IV on any Part 135 flight until you’ve been through another recurrent… at your own expense, of course. At first, this seemed like a potential deal-breaker for contract pilots, but it can help as much as it hurts. Just as the change make it harder for a contractor to work for multiple operators, it also makes it more challenging for that operator to replace a contract pilot since a successor wouldn’t be legal to fly until they went back for recurrent training. Contracting does have something in common with scheduled airlines: it’s not right for everyone. If you’re the type that wants a fixed schedule or has to know exactly how much your bi-weekly paycheck is going to be, this ain’t the place. 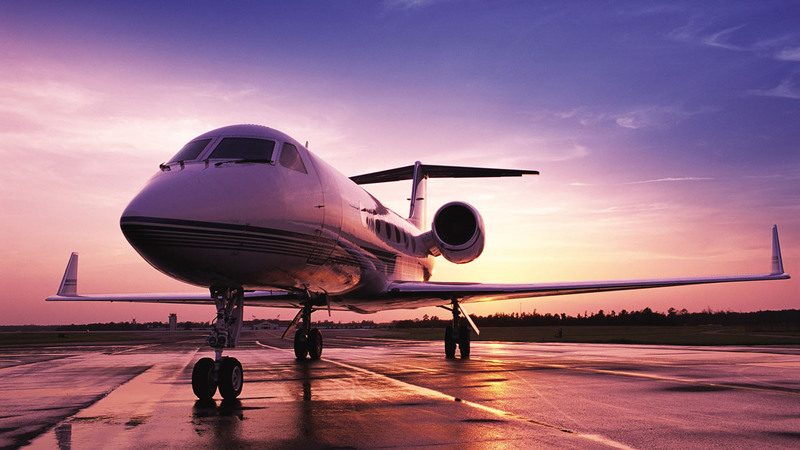 In addition to all the attributes of a good corporate or charter pilot, contracting requires the ability to run a business and cope with uneven income. Some months will be fantastic. Others, not so much. Even when business is slow, though, I get something valuable: more time at home with friends and family. Like I said at the top, life is what you make of it. But the ability to earn a six figure income right off the bat while working a relatively small number of days? For me at least, it’s more than worth it. 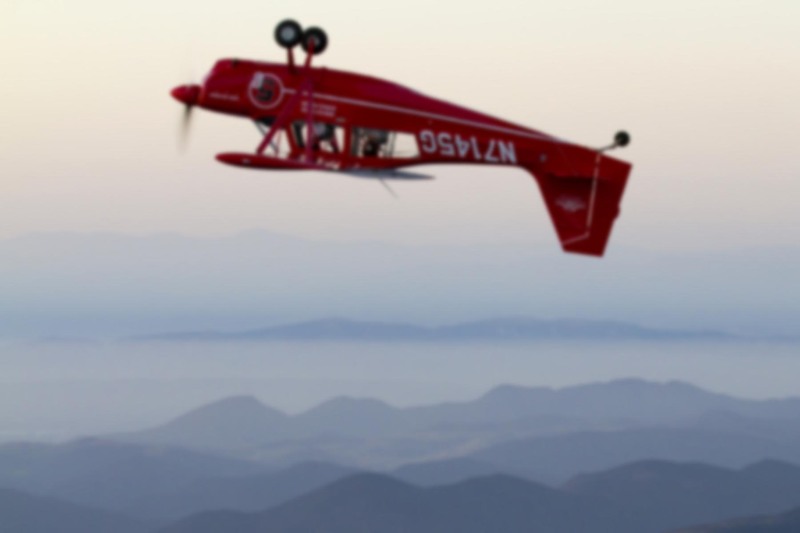 What I want in my flying carer is sustainability, the capacity to survive on this aviation tightrope, and ironically that’s what contracting provides. I want to fly without hating it, and that means avoiding the soul-crushing schedule and monotony of many professional flying jobs. Hi. This is kind of the article I have been searching for since I was 13 years old. Great post on life in the industry and what to expect. Sure is expensive to maintain currency though…wow. II’ve always known my entire life I’ve wanted to fly business jets. Since I was nine. Money was the over riding factor in a sense I had to fly a desk forb10 yeara and get a regular degree at a regular college. I’m on my way to professional aviation but it’s a long and challenging road. So much that I’ve he been through a hand full of hurdles in just tthe at three weeks alone. I still want to do it. The type of life a Corp pilot is one I’ve always dreamed of and wanted. While this article may be the inspiration I’ve been looking for, I know I have an incredibly long road ahead of me. Thanks for providing the insights. I think I know a total of two pilots who fly professionally… so these articles and blogs like this help amazingly. Glad you found it helpful. Yes, recurrent training is the major expense for a contract pilot (although with the exponential rise health insurance costs, benefits are giving the training expenses a run for their money). In addition to the aircraft-specific training, there are also recurrent training requirements for many other things, including (but not limited to) international flying, hazardous cargo rules, and emergency procedures. Each of those can come with a separate price tag. That’s why the daily rate for contract pilots is so handsome. As for recommending careers… I am an architect and I advise people to avoid it unless they have no other choice. It’s tough out there. I’ve heard the same advice from doctors, attorneys, pilots, programmers, teachers — all the careers you’d think of as desirable. I’m not very knowledgeable about the architecture field; out of curiosity, why do you recommend avoiding it? When I was at university of Arizona, the hardest working students were the architects. My next door neighbor is an architect…now he is a gym coach! Every time I walk into a building, I’m thankful they are hard-working students. But architect to gym coach? I wonder if that was by choice. I know it’s a rough field; I’ve got an architect friend who worked on SoCal Edison’s helicopter hangar at Chino Airport, which took about the same amount of time to build as it did for us to fight a world war. He wanted a change and why not? The Gym he owns pays far more than he was receiving as a W2 architect at a hospital. They say his gym is the third most in revenue in USA of all Cross fit gyms.. People see a life episode and they make a change, whether its wanting to lose weight, or they were on the bottle and came off of it. OH! Speaking of bottle….I Saw the picture of the Bottle, Sir, and knew it was probably better I didn’t ask any questions…:-) Haha. But this post above clears up a LOT of it! The difference between an architect and a pizza is that a pizza can feed a family of four. The things that bring you TO architecture as a young person and not the things that 95% of the people will get from a career in architecture. Not if you want to make a living at it. You want to be creative, but in order to make money you need to re-use your details and plans. You want to design unique spaces, but clients want to be able to measure resale value, which means hewing closer to existing designs. I have been incredibly lucky (http://otlstudio.com) and been able to design a bunch of residences, one at a time, for crazy people. That means they didn’t care that much about resale value and were good patrons of the art of architecture. But that is the thing that young people are drawn to: the art. And you are an artist who is unable to create unless someone else is writing a REALLY large check. Like the largest check they will write in their lives. Compared to painting, sculpture, musician, actor… your art is much more in the hands of other people and without their involvement and agreement you cannot proceed to create a building. The five years of school was an experiment in sleep deprivation. We worked incredibly hours. Harder than any of the liberal arts, engineers or pre-med students I knew. The average salary at graduation was $27k, lower at the time than kindergarten teacher ($35k), a job my sister was looking at when she graduated from Swarthmore College with a Bachelors. I can recommend programming, if you are willing to remain current. I’ve had success there. Great article, as always! 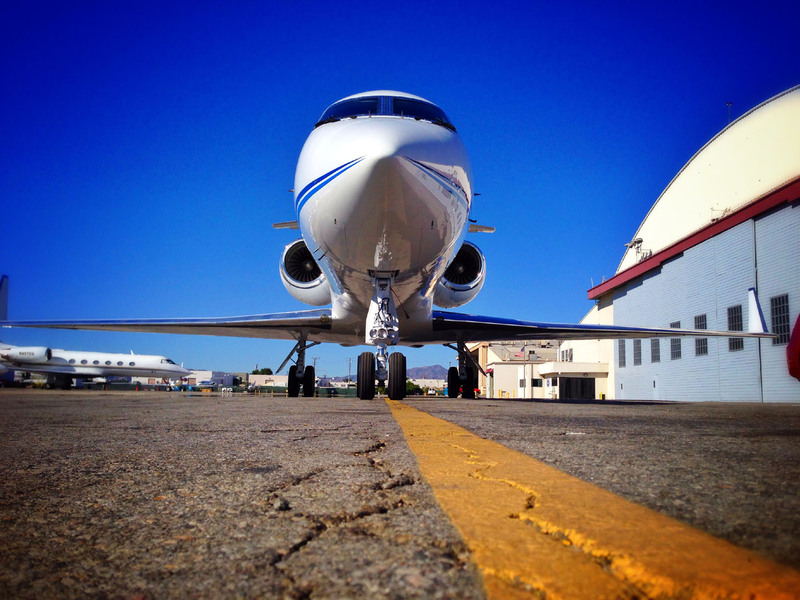 This is great stuff for anyone who flies – or wants to fly – corporate jets! I have often wondered how the contracting world works and now I have a sense of the in and outs. Glad you enjoyed it, Brent. I’d love to learn about the kind of flying you do on the Falcon sometime (if you can, of course)! I read those common law rules and don’t see how it would be illegal, at least in my situation. Contract pilots have existed for as long as the bizjet industry has been around. Longer, actually. Perhaps the author did not know it’s illegal or perhaps he has chosen to ignore the law I really do not know. In many industries people agree to become “independent contractors” because they can make more money or they are just happy to have a job in these tough times. In my experience when the IRS does an audit they deem the “independent contractor” is really an employee 95% of the time. If a pilot should become disgruntled he can simply fill out an IRS form SS8 and the IRS will screw over the operator. Just because the practice has been going on for a long time does not make it legal. One only needs to look at what is happening in the trucking industry. Bottom line is that employees pay more taxes to the IRS than independent contractors so the IRS has an incentive to just call everyone an employee. As Ron points out the laws are intentionally vague and enforcement action is usually costly to both the operator and the misclassified pilot. A quick google search shows that the NBAA is aware of this problem http://www.nbaa.org/admin/personnel/independent-contractors/ and presumably offers some guidance. Be careful out there, times are changing in many industries! What makes you think the SS-8 determination hasn’t already been made? My current company pays via W-2… unless the contractor has an LLC or other corporate entity set up. In those cases they get a 1099. But from my perspective, the 1099’d individual doesn’t make more money — they make LESS. They have to twice as much for Social Security and Medicare. And they don’t have access to things like unemployment insurance. That’s to say nothing of the paperwork headaches. Quarterly estimated tax payments, etc. It is almost unheard of for the IRS to classify someone as an independent contractor after a SS-8 form is filed. In my 30 years of practicing law I have seen this happen maybe twice. Especially considering the fact that you do not own the airplane or choose where and when it flies. For all intensive purposes you would be treated the same as a truck driver who does not own his truck. Again this is sheer speculation on my part. The 1099 individual usually makes more money but does have a higher tax obligation because you have to pay for your own social security medicare etc, like you mentioned. The biggest reason the IRS and California Franchise Tax Board does not like it when people are payed 1099 is because you do not contribute to payroll taxes. States especially California have been cracking down on people who set up “a corporate entity” to avoid payroll tax and receive a 1099 vs a w2. I apologize if my comments sound harsh. However an independent contractor pilot may want to consult with an employment lawyer (especial in CA!) to see what their personal tax liabilities may be if it turns out they are misclassified. Operators should be especially careful in these times. Also if you are happy with the current arrangement I might not create a public blog post about it. I am a big fan of this blog and would hate to see some bureaucrat in the California Labor and Workforce Development Agency pay too much attention to any of this. one test case could ruin the whole business paradigm. Just google Fedex and independent contractor.